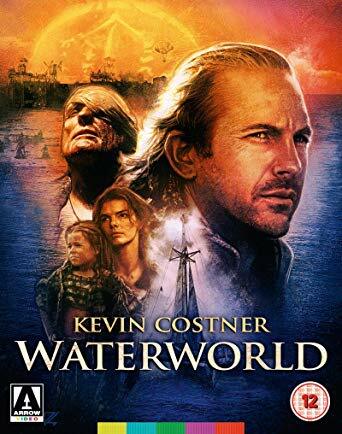 Arrow Video have announced a special limited edition of the Kevin Costner film Waterworld for release in December. The most expensive film ever made at the time of its release Waterworld is a definitive post-apocalypse blockbuster, starring Kevin Costner as The Mariner – a mutant trader, adrift in a dystopian future where Earth is submerged under water and humankind struggles to survive on boats and in ramshackle floating cities. The Mariner becomes embroiled with the Smokers, a gang of pirates who, led by villainous leader Deacon (Dennis Hopper), are seeking Enola (Tina Majorino), a girl with a map to the mythical realm of “Dryland” tattooed on her back. Presented here in an exclusive new restoration, in three different cuts, and with a wealth of extra material, this high-water mark of high-concept Hollywood can now be enjoyed as never before.